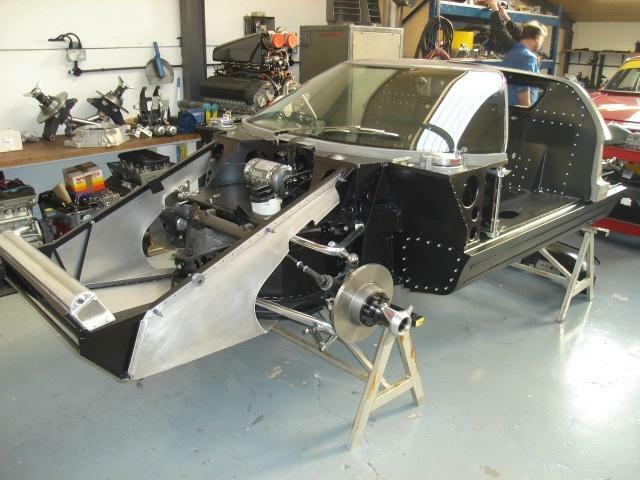 The first of our Chassis, this car too, was granted FIA Papers and is now racing in the Masters race series. Andy – Brands Hatch Masters. Class win, 4th overall. 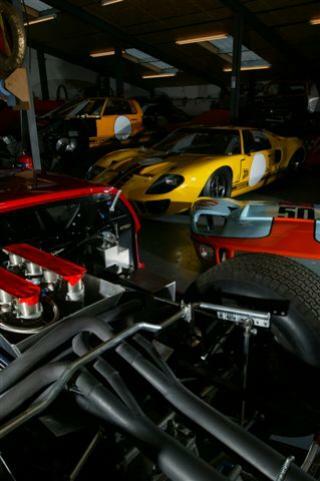 From the back of the grid! 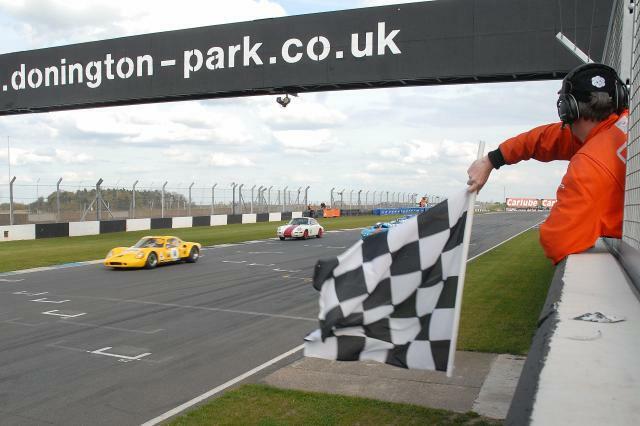 JCB’s B8 in the background, prior to its outright win at HSCC Donington 2009. 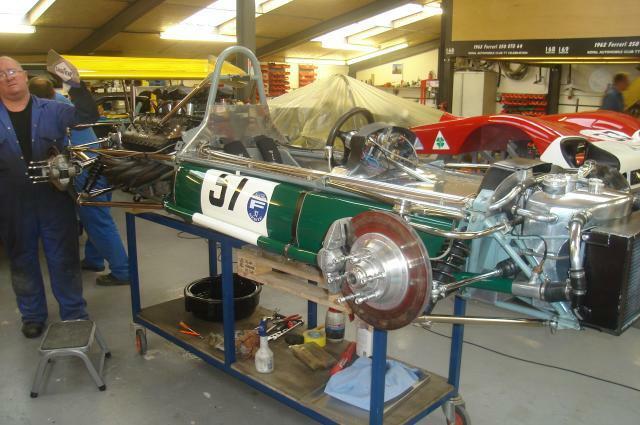 During the 2008 season Gelscoe Motorsport ran and serviced Philip Walkers BT11A. 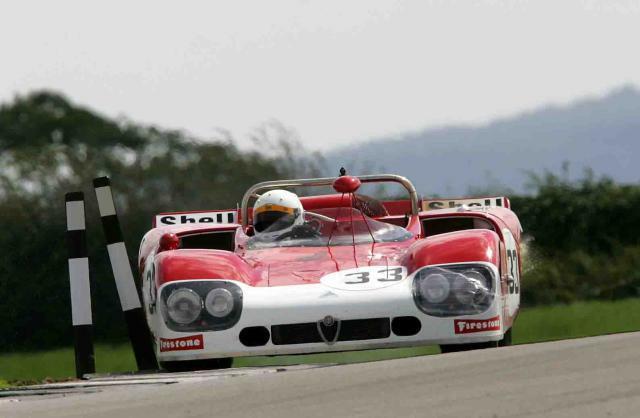 With Andy Newall at the wheel, every meeting they achieved pole, fastest lap and outright win. 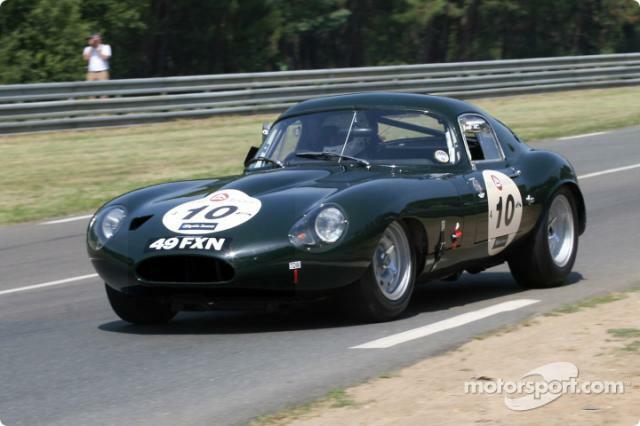 After sitting in as many bits as you can break a race Car down into, and the reassembly instructions thrown away long ago in a German Workshop, Gelscoe were given the project of bringing this DBR4 back to life. 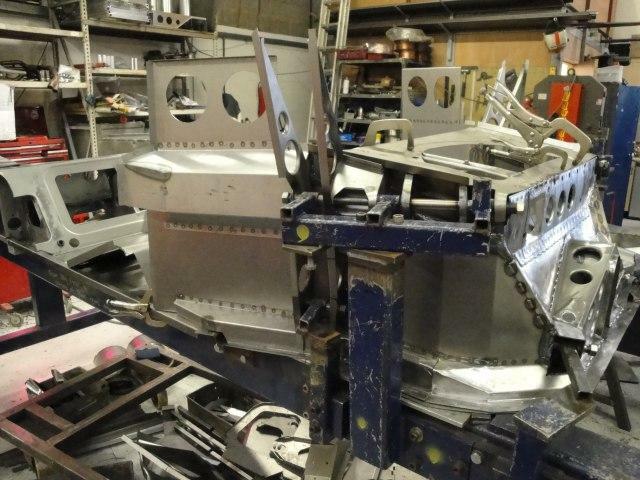 Even the Engine was totally stripped and a hole in the Block made matters worse. 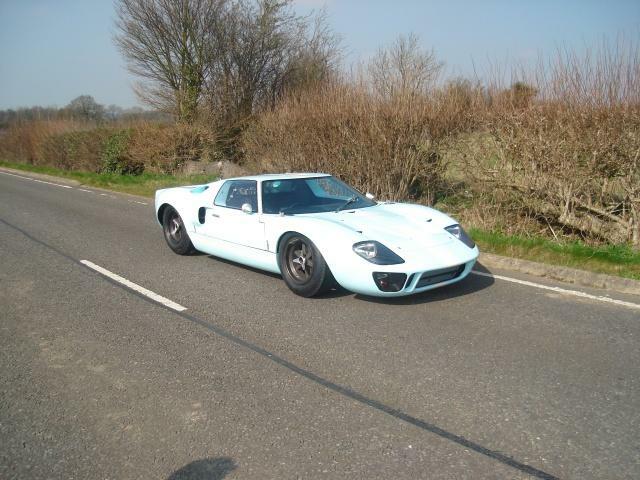 Just under a year later, the Car ran again at Mallory park for a 20 lap shake down. 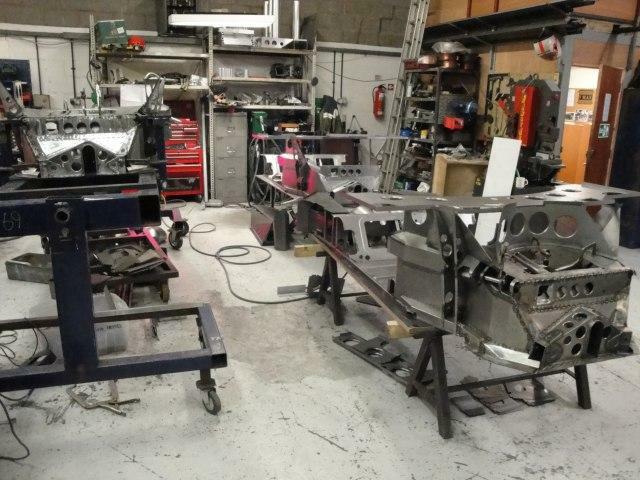 Gelscoe Motorsport carried out all the work in house and even the massive task of makeing the original 2.5 ltr Engine run again was managed by ourselves. 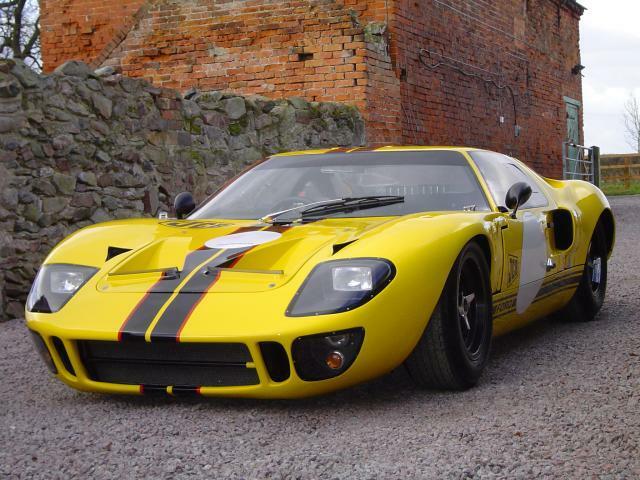 The Car is due to race at this year’s Nurburgring historic festival. 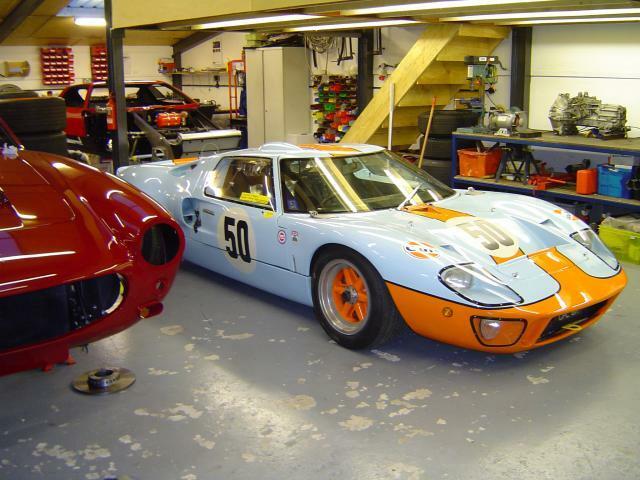 Gordon McCulloch, TZ1 owner, has just added his latest Car to the already comprehensive race stable, a Tipo T33-3 Chassis No. 19. 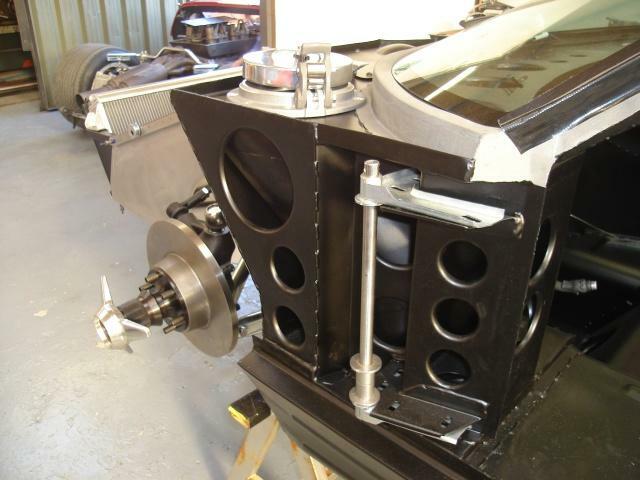 After carrying out a full safety check and set-up work, the Chassis was tested for the first time at Donington by Andy with a view to just running in the Engine and Gearbox….. check out youtube for footage of the first run. 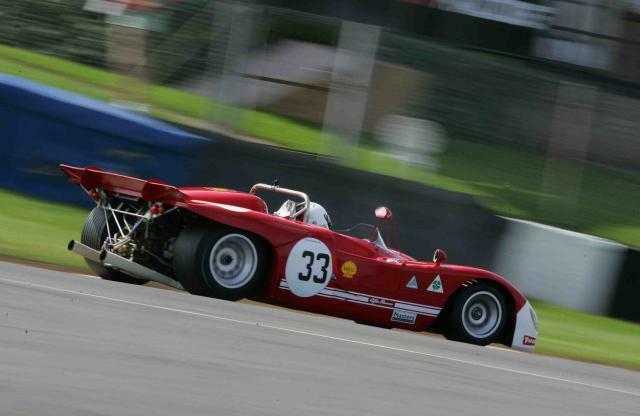 After sorting the Fuel Injection unit and re-plumbing the Fuel System it made its first race at Masters Brands Hatch winning the class and finishing 4th overall. Problems the previous day made for a back of the grid start, but a strong drive from Andy Newall lead to a great result. 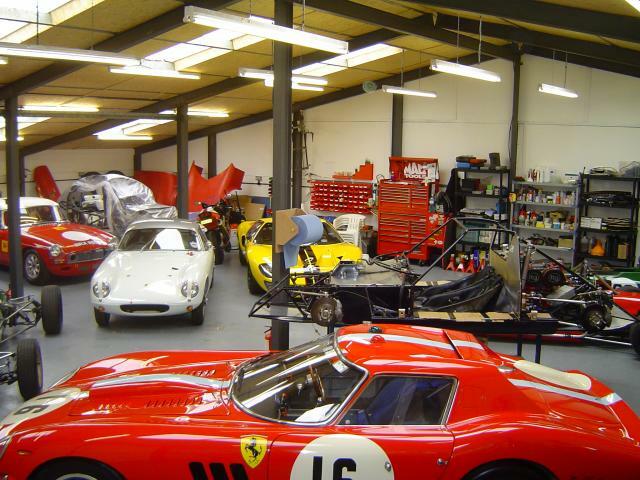 In just nine months Gelscoe Motorsport’s restoration department restored GT111 to its former glory, finished on time for the Goodwood revival. 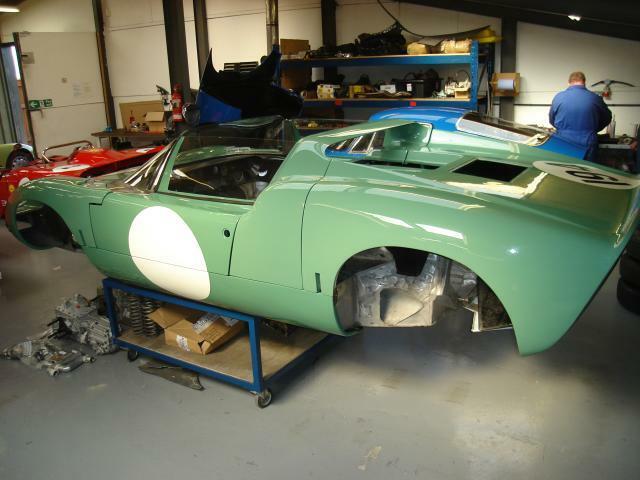 Owned by Historic Race Car collector Philip Walker, both his and Gelscoe’s devotion to the project led to a perfect and original restoration. 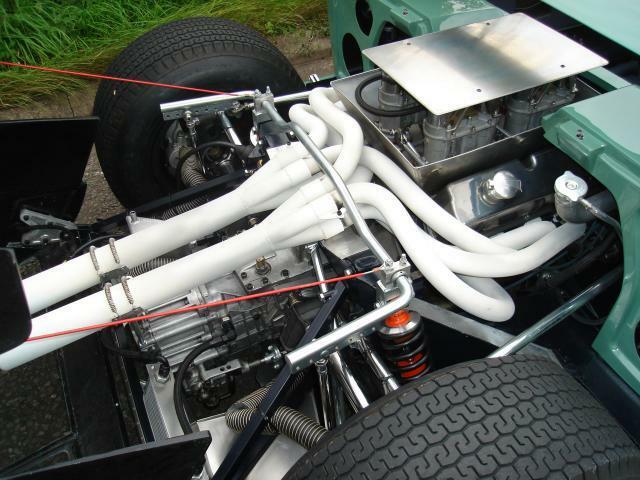 Engine Bay detail, note how far back the centre is compared with a normal GT40. 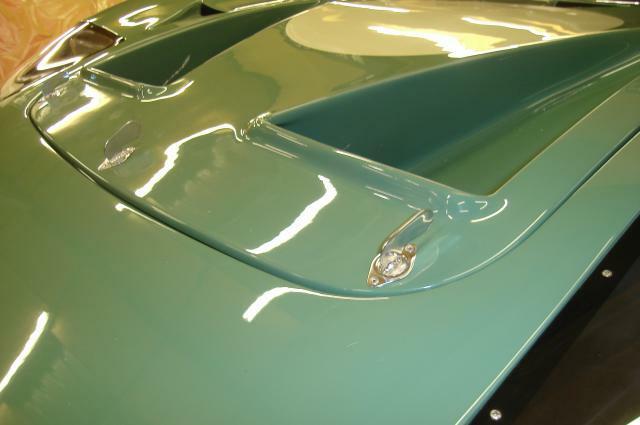 Swan neck water filler allows easy access as the Bodywork covers where a normal Car would be filled. 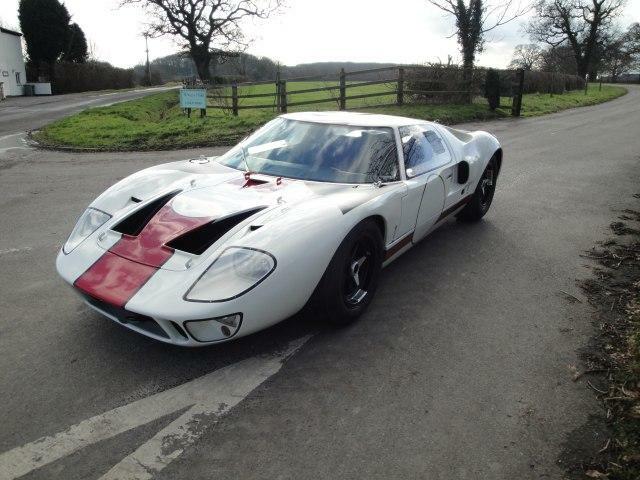 Early correct Gear Linkage, original Steel bodied Koni Dampers and Gearbox Oil Cooler all add detail to this very rare GT40. 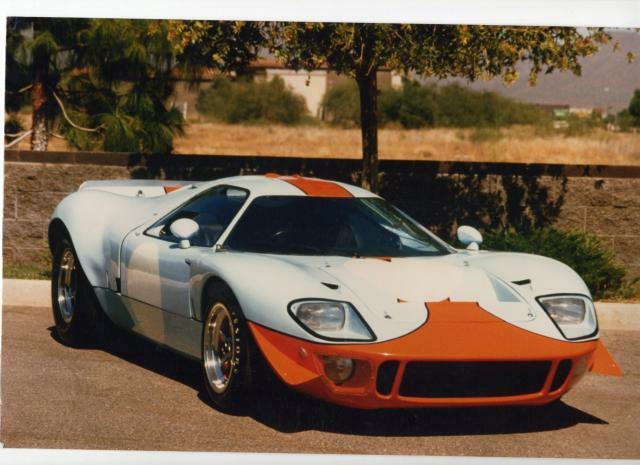 After spending nearly all it’s life, locked away in a private collection GT112 the Sister Car to GT111 was sold to a German collector. 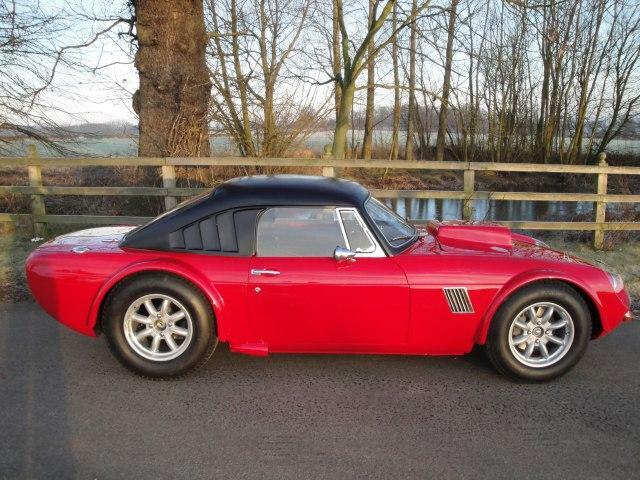 Altered in period by Peter Sutcliffe the non standard Roof was still fitted. 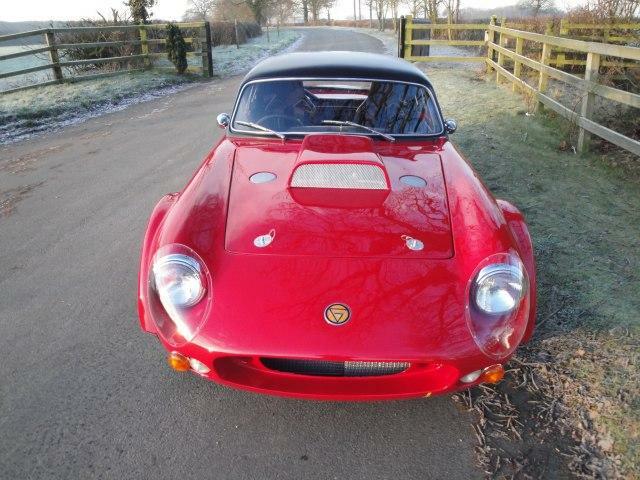 The last owner had painted the Car orange and trimmed it with white carpet which kept all the water on board. 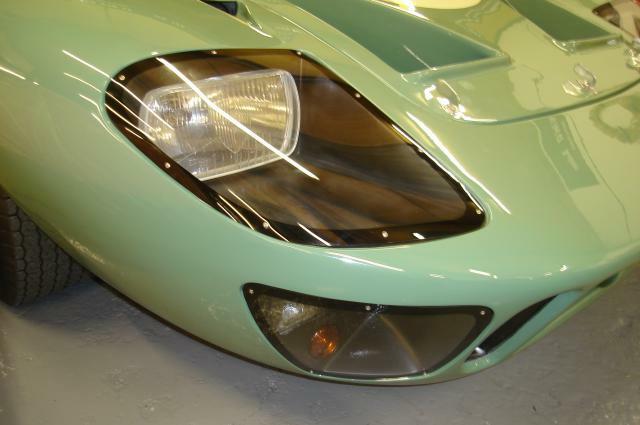 Rotten and in need of dire help Gelscoe Motorsport were asked to restore this very rare Nurburgring 1000 km entered works Car. 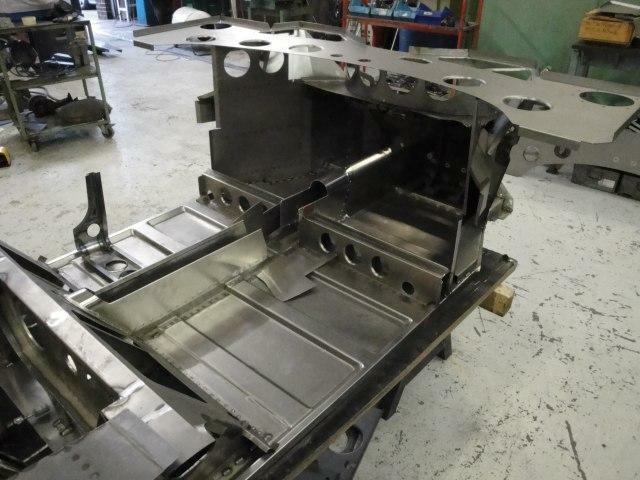 Major Chassis restoration took place over a period of 3 months, converting the later Coupe Roof back to the original Roadster Screen Frame. 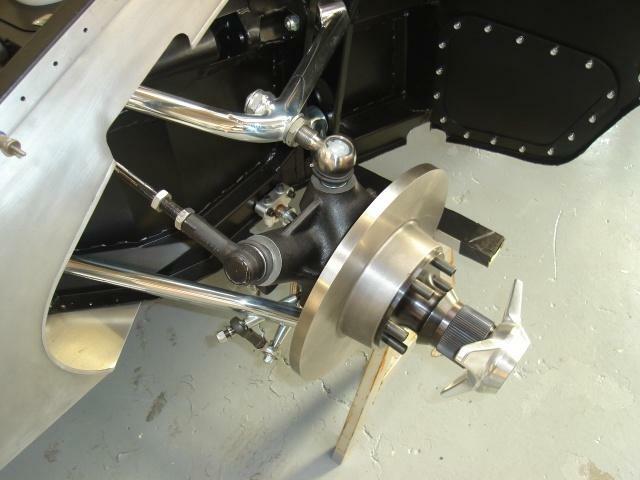 All the original Roadster steelwork was restored and the missing items removed in 1967 were copied from GT111 and put back on the Car. 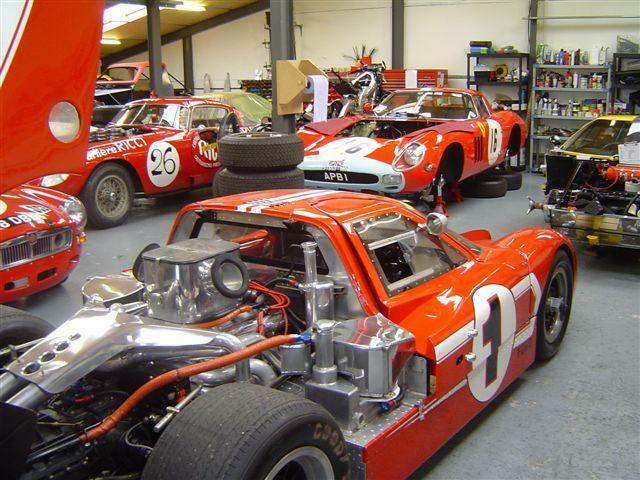 Gelscoe Motorsport also supplied all the parts to put this famous race Car back on the track. 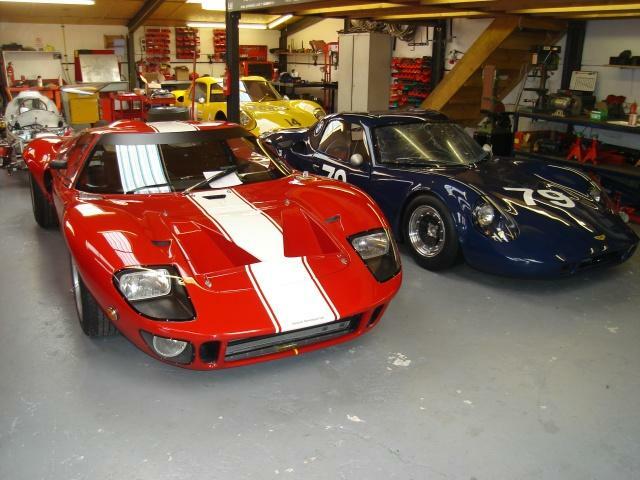 Not only commited to the restoration of GT40s, Gelscoe also restore and service many other makes and models of Cars. 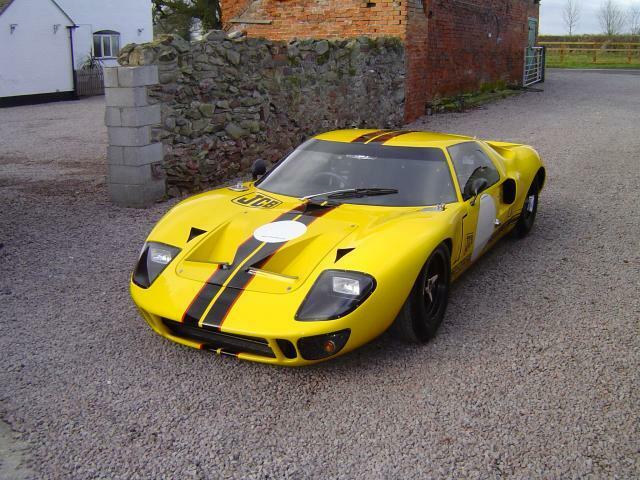 GT40 1084 sits in front of part restored 1070, both Cars have been restored by ourselves and are now raced in historics. 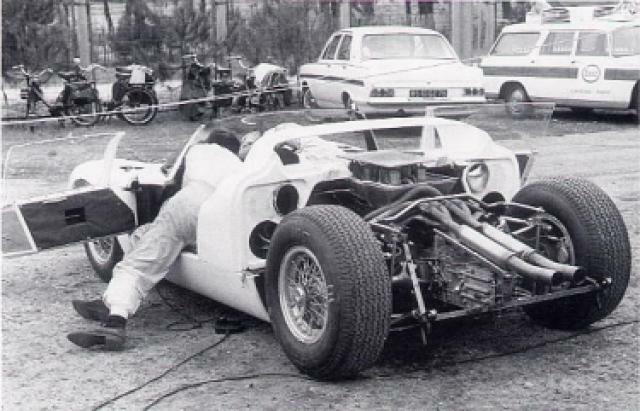 Taken in the Paddock at Le-Mans, GT111 is attended to by John Etheridge. 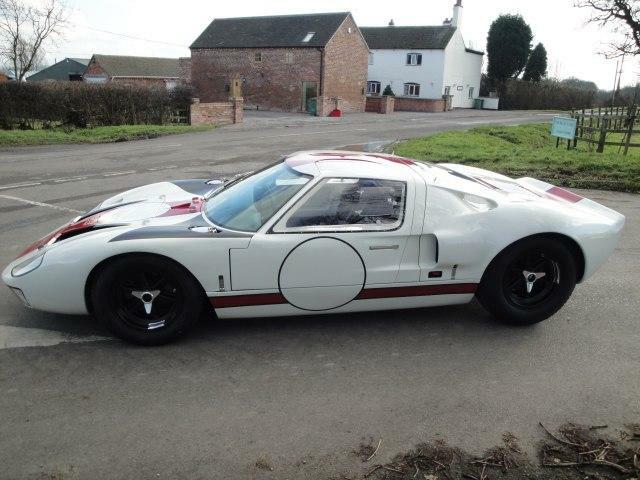 If you look at the left hand rear Wheel you can see the markings 111 and 105. 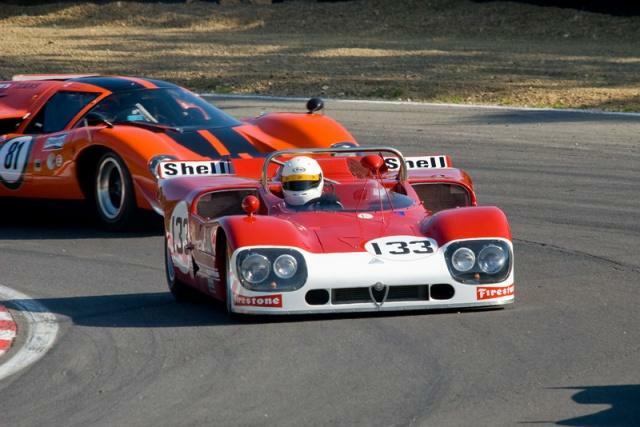 These two cars were there to test for the main race, it was this test that FAV began to realise they were in for a very long haul !. 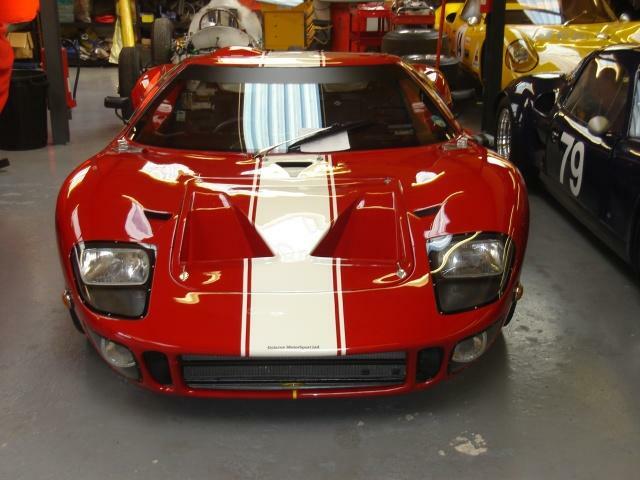 Both GT105 and GT111 were restored by Gelscoe Motorsport. 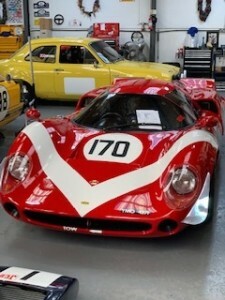 JCB Chevron B8 1969 works Le Mans entry. 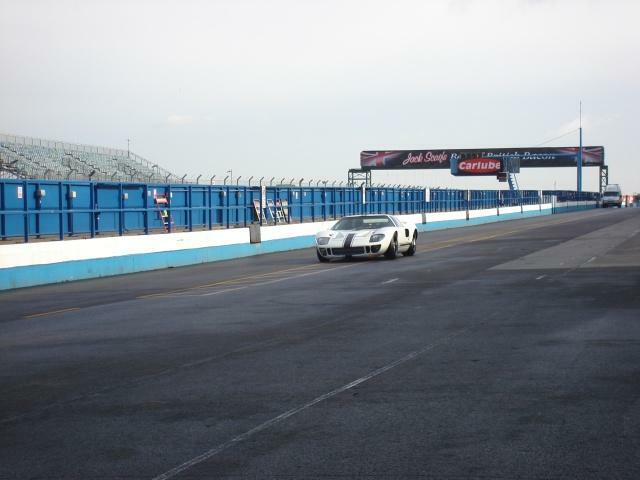 Donington 2009 Pole, fastest lap and out right win. 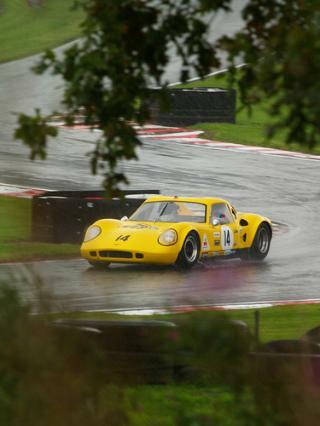 JCB’s Chevron B8 on it’s way too first place in the Gold Cup this year at Oulton Park. A half time rain storm added extra drama to a fantastic result. 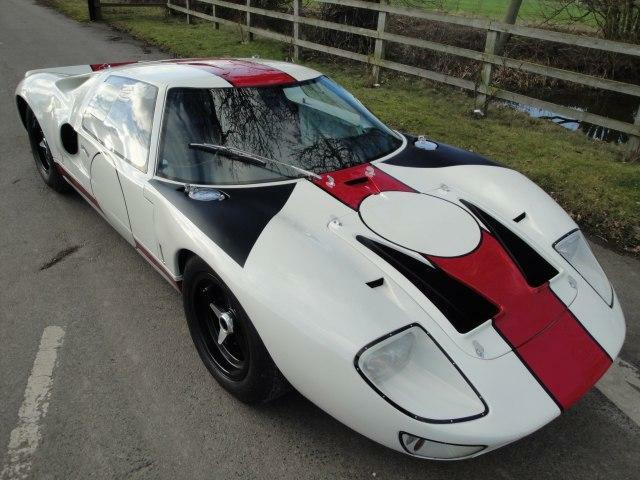 Raced by Andy at Silverstone this year and now being serviced for Monaco next year, this is one of the many different Cars Gelscoe Motorsport maintain. 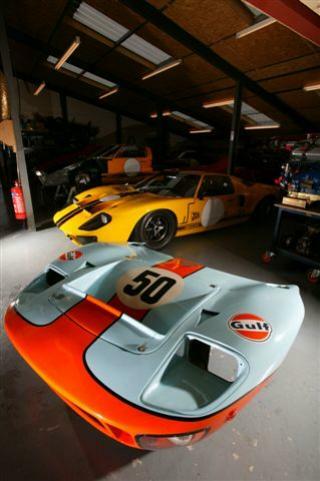 Gelscoe’s latest veture along side GTC Mirage in the States, is to produce the continuation Mirage GT40. 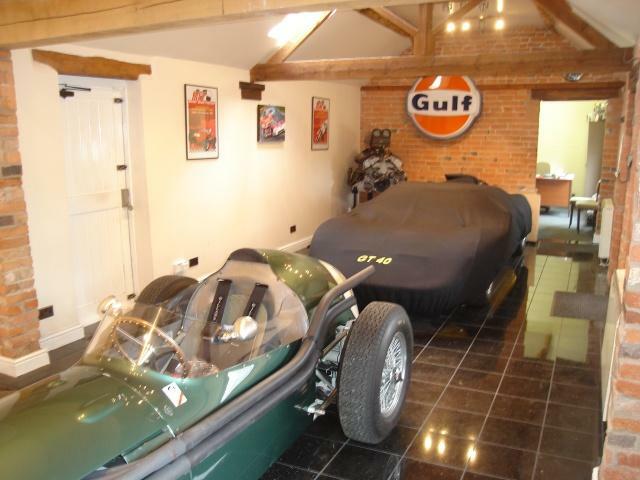 Working hand in hand with the long standing owner of Mirage , Harley Cluxton, the combination of Gelscoe’s original drawings and the original Mirage drawings held in the States, should lead to a great product. Very first run of GEL W 001 owned by Claude Nahum. Wet day dry tyres ! 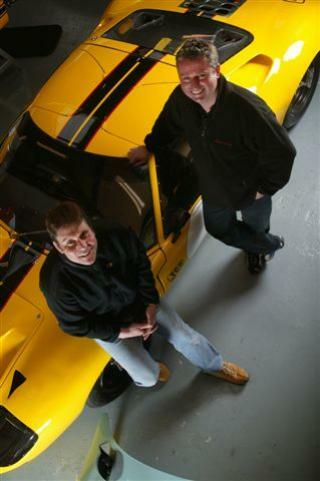 Gelscoe Motorsport’s Jon Brewin returned to the tracks in the Gelscoe Palliser rental car. 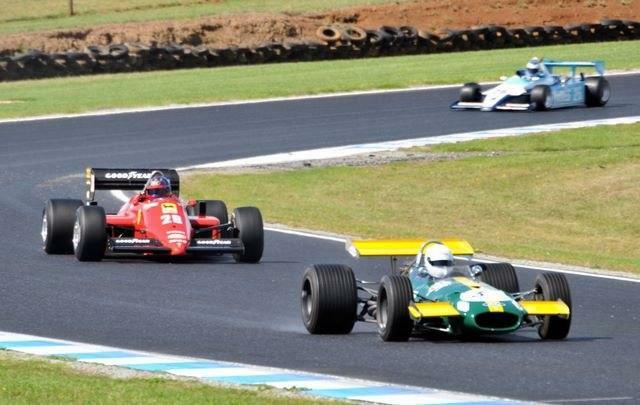 Out the seat and not raced for over 15yrs he made his return as far away from the local media as possible …… Philip Island circuit, Australia !. 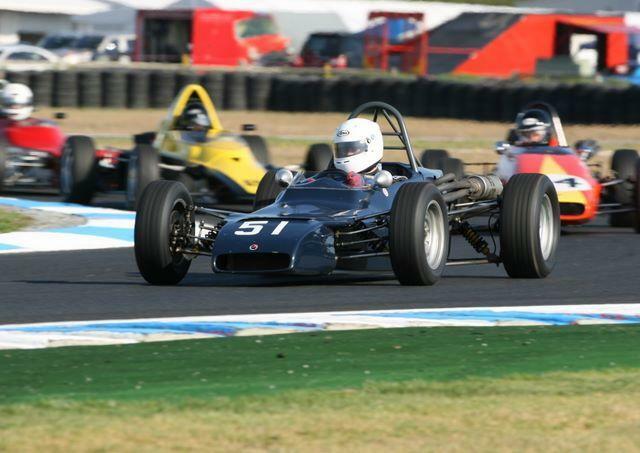 For more information on our two Formula Ford pre-71 rental cars, please click on the tab on the home page menu. 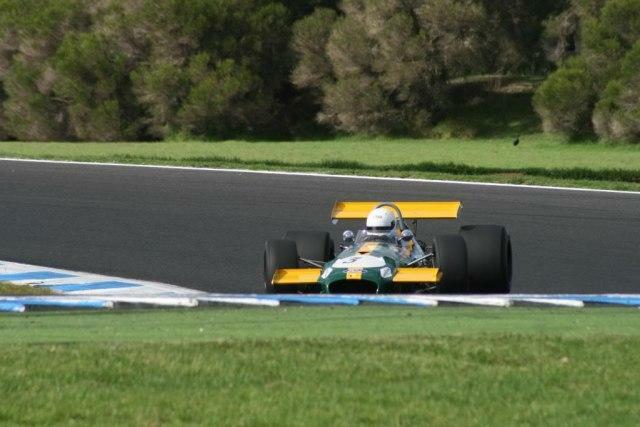 Andy at Philip Island this year, first DFV placed car in all 4 races. 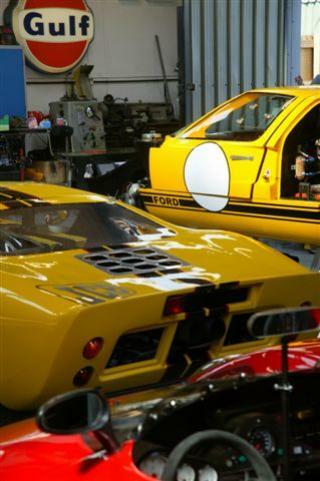 Gelscoe Motorsport will be posting a page to invite cars for the 2011 Australian event later this summer. 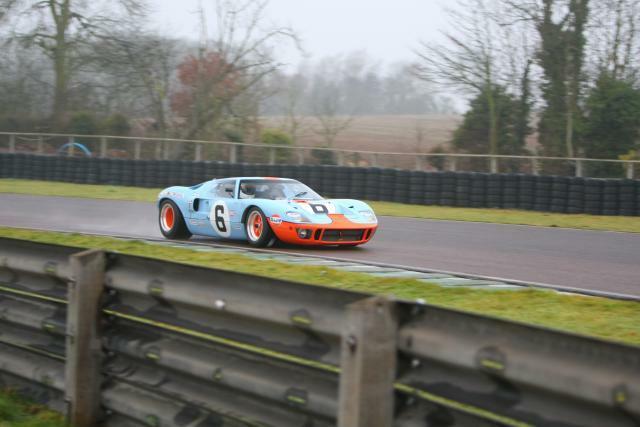 Leading in the only wet race of the event. 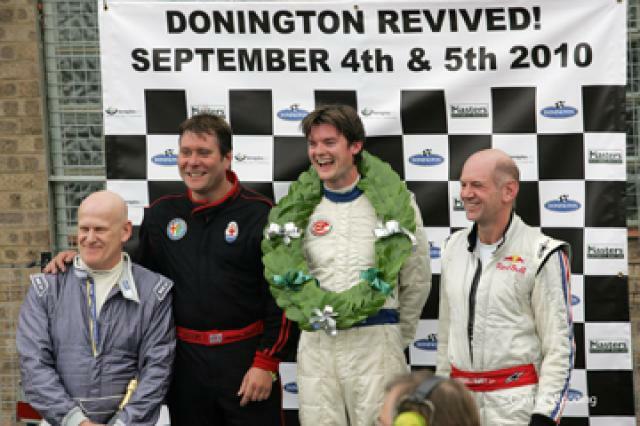 Owner David Forsbrey and co driver Andy Newall finished 3rd overall in the Masters SRM race at the Donington revived meeting. 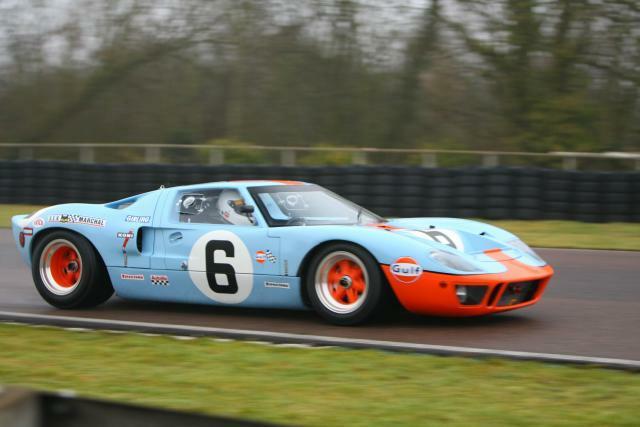 This was the owners first race in a GT40, only ever having raced a modern car, six years ago !. 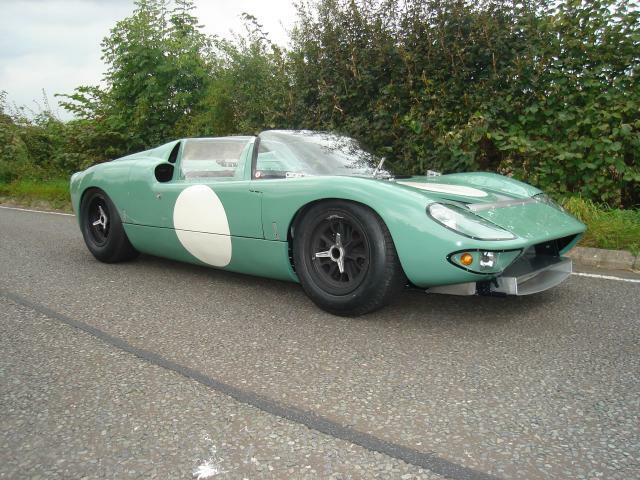 The only Ginetta G10 ever to race in 1965…. 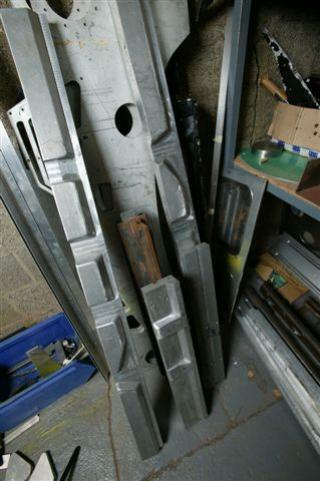 Ford 289 engine, side loader gearbox and E type diff.